Hand-painted polyresin statue features the villain's gloved hand. Comes with four different removable Joker cards! The Clown Prince of Crime leaves his mark everywhere he goes. 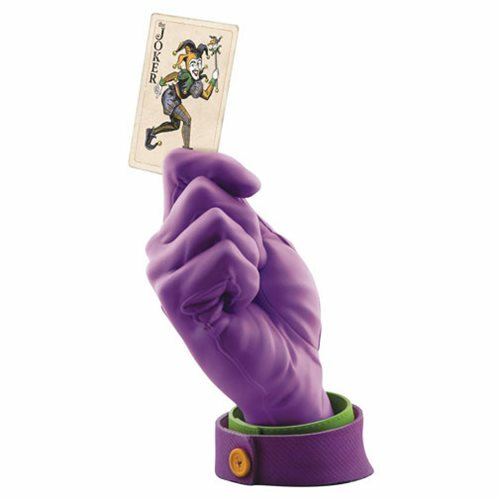 The first in Cryptozoic's series of hand statues, the Batman Joker Calling Card Hand Statue features the villain's iconic gloved hand and comes with four different removable Joker cards. Measuring approximately 10 1/2-inches tall, this beautifully hand-painted polyresin statue is no joke! Ages 14 and up.